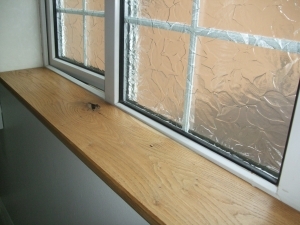 Our window boards, come in kiln and seasoned air dried, the thicknesses we generally use are a FINISHED size of 20-22mm thick and 45-50mm thick. Although we can make to any size thickness, so please ask. The 20-22mm thick boards are £44 per mtr at 200mm or 8″ deep, with the 45-50mm thick boards at £64 per mtr at 200m or 8″ deep. 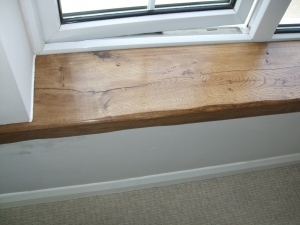 We can make window sills to any size, feel free to enquire. The boards are supplied in there rectangular form and not cut to shape as this is best done in situ by yourself or your joiner. 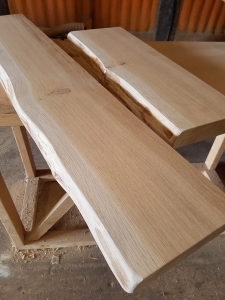 You can choose from a choice of front edge finish from PSE (plain straight edge), rounded, bevelled, or the most popular is the hand carved or “adzed” finish which is the same finish that we put on most of our beams, you can even have the natural waney edge left on for real authenticity. 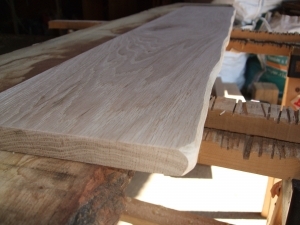 Our boards come in seasoned air and kiln dried form, and again come from sustainably managed European forests, these mostly come in the form of QB1 grade boards which in general is a form between character and joinery grade, some boards may come with lots of natural character in the form of knots, swirls and surface checks/small cracks, or may come without any of the afore mentioned. So what measurements do we need ???. 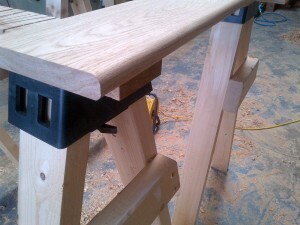 To be able to accurately quote you we need to know the length, the depth and the thickness. First, the length, measure in between the reveal walls, and if wanted add on around 50mm each end for the horns, which wrap around the wall where the sill is cut into the reveal. Second, the depth, measure from the window to the front farthest point of your wall, again don’t forget to add on extra for overhang, usually around 25-30mm. 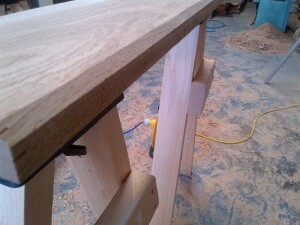 last, thickness, the height of where you window opens will determin how thick you can have your sill.